Pakistan, whose meddling has done more to damage Afghanistan than any other single factor, is well positioned to remain the most influential player in Afghanistan. 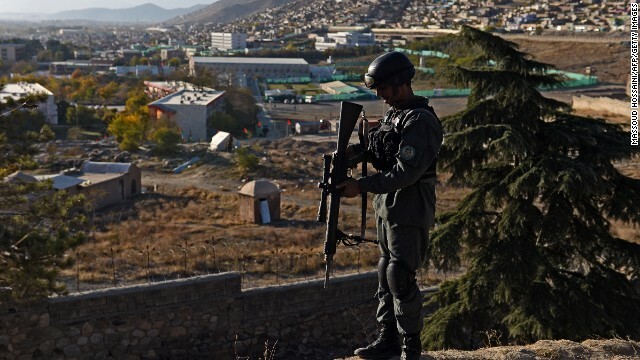 But with China likely to end up as Afghanistan’s second most consequential neighbor, it is worth pausing to think about what is shaping Beijing’s calculations. First, a fast-growing China undoubtedly wants to exploit the country’s vast and largely untapped supply of raw minerals and natural resources – Afghanistan holds around $1 trillion in untapped mineral deposits, including significant quantities of copper, iron, and lithium. To help make this happen, Beijing has acquired concessions for two major projects, the Aynak copper mine and Amu Darya oil field. The Aynak project is a somewhat questionable investment. Not only does Afghanistan present a poor environment for mining operations, suffering as it does from a dearth of water, electricity, and roads, but the project has met with opposition over an ancient Buddhist archeological site in the mining area. China’s foray into developing Afghanistan’s oil and gas reserves, in contrast, has been more promising, and Beijing appears to expect that the investment will be a point of entry that will give it access to other nearby natural gas deposits. But additional resources only tell part of the story of China’s interest in Afghanistan. Another key consideration is Beijing’s desire to prevent Uighur militant groups from finding a safe haven in eastern Afghanistan. After all, Uighur militants carved out a noteworthy presence in Afghanistan during the 1990s, when the Taliban was the dominant force in the country. And while several Uighur groups now operate in Pakistan’s tribal areas, Islamabad is currently applying pressure to them and their sponsors. Beijing is therefore concerned that these groups could relocate to Afghanistan if Pakistani pressure is successful, and indeed is concerned that they may have a heavy presence in Afghanistan even now. On the surface, the desire by both Washington and Beijing to crack down on militants might appear to bring their interests into alignment. The trouble is that the two countries have taken quite different approaches to tackling militants in the past, and it would therefore be a mistake for the U.S. to believe that China can simply be left to step in and stabilize the country. For example, while the United States has fought Afghan militants for over a decade, China has preferred to protect its interests through negotiation, expending far less blood and treasure in the process. And sometimes this approach has worked: After militias affiliated with General Abdul Rashid Dostum disrupted surveyors and engineers at Amu Darya in June 2012, Beijing reportedly struck a deal with Dostum to ensure his men didn’t interfere with the project again. But negotiating with armed groups doesn’t always succeed, and Beijing’s past efforts to convince the Taliban to distance itself from Uighur militants have been largely unsuccessful. Of course, Beijing’s divergent interests and approach does not mean that China’s growing presence in Afghanistan is necessarily a bad thing for the United States. But Washington must be careful to safeguard its own interests even as new actors move to the fore. The best way of the United States protecting its interests would be for Washington to cooperate more closely with other neighboring states, such as India, who share similar concerns. And the United States must also ensure that it is in a position to monitor the situation on the ground, and be prepared to act quickly to secure its interests in Afghanistan should the need arise, including through support for proxies and, if necessary, through military force. After all, one need not look very far away – to the unfolding crisis in Iraq – to see what happens when the U.S. abandons its influence too quickly. Next entry »Are more homegrown terror attacks inevitable in Canada? Currently, China pays about $28 per barrel for crude oil delivered from the Caspian Basin through Afghanistan's pipelines. Americans pay about $100 per barrel, explaining why China can produce more than U.S.
basically China is doing everything right and we are spilling blood for nothing. Sounds to me we got outplayed. China builds, we destroy. Do you need to wonder why Afghan's new president head to China first? And your facts come from where? And yes. Have been shredding blogs before the word Blog was coined. A lot of people know me from my decades old dealing with pharmacated minds blinded further by the light of media. All of media big and small, now. Not my first go round with an automaton. *we pay $100, rather. Like if your gasoline only cost one dollar per gallon, and everyone else paid $4 per gallon. Even if you owned a trucking company. This is where China beats U.S.
Lmao @ blue i see why "smug" is your favorite word, as you are as smug as they come! And it is not just i, that does not advocate war! There are a whole helluva lot of us out here that dont! And i can also respect @ Philips usage of your initials when addressing you because you are just loaded with BS! Your agenda has not been lost on us over the past several days, and now all of your comments are pretty much null and void because they ALWAYS elude back to YOUR agenda whether it applies to the present topic or not! So my suggestion would be to create your very own "I hate India" website and see what kinda revolution you can drum up that way, dream boy! Like you chrissy, I'm sick and tired of reading all these stupid rants against India by this Tea Partying fool. We're doing far more damage in the world along with our rubber-stamp European allies than India anyway. "Lmao @ blue i see why "smug" is your favorite word, as you are as smug as they come! And it is not just i, that does not advocate war! There are a whole helluva lot of us out here that dont! And i can also respect @ Philips usage of your initials when addressing you because you are just loaded with BS! Your agenda has not been lost on us over the past several days, and now all of your comments are pretty much null and void because they ALWAYS elude back to YOUR agenda whether it applies to the present topic or not! So my suggestion would be to create your very own "I hate India" website and see what kinda revolution you can drum up that way, dream boy!" sounds like something i would have said. Thanks, Chrissy. Pronounced Phil Doh. Not Phil Do. China pays $28 per bbl. of crude. We pay a hundy. Guess why we can't compete. Could of swore I saw banasy post "Lol".